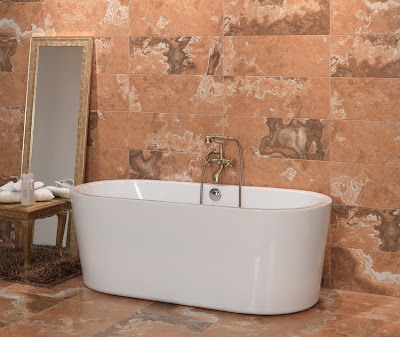 One of the best and most innovative tile manufacturers I saw at Cevisama in Valencia and Coverings in Las Vegas was the Spanish company Cifre. Cifre is one of the member manufacturers of ASCER, the Spanish Ceramics Manufacturers Association that's branded in North America as Tile of Spain. ASCER and Tile of Spain is who paid my way to Cevisama, in the interest of full-disclosure. With that out of the way, it's great to see a Spanish manufacturer come to the marketplace with a swagger and savvy that heretofore belonged to the Italians exclusively. Those days have passed and the great innovations these days are coming out of Spain. The big news in North America is the vast improvements in porcelain tile that looks like wood planks and Cifre does a great job with them as shown here in their Bergen collection. 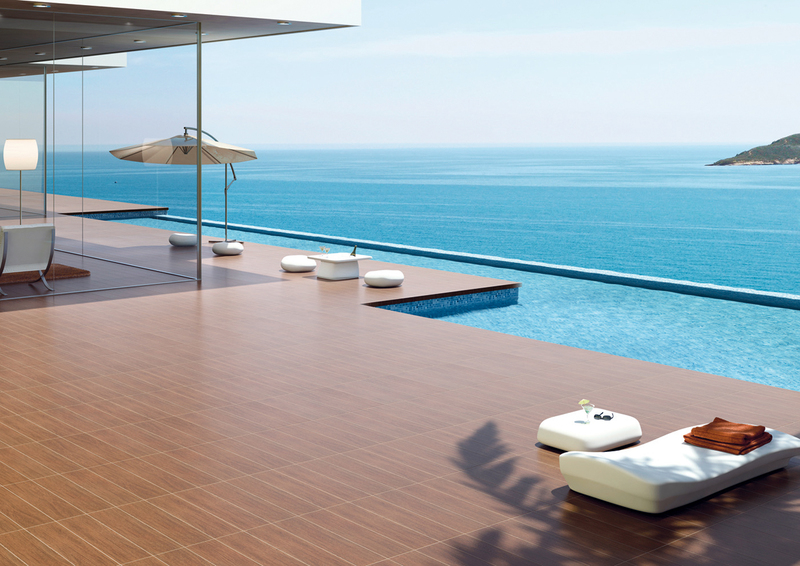 Porcelain tile absorbs almost no water and it can be used outside as things like pool and patio decking, even in temperate climates. Imagine a deck that never fades, never ages, lasts for 40 years and looks as good then as it did when it was installed. The other big break through that's showing up on this side of the Atlantic is ceramic and porcelain tile that mimics the appearance of stone. Cifre handles that trend beautifully too. I left these images as better-resolution photos. Ignore the slow loads this morning and click on these photos to see them in better detail. 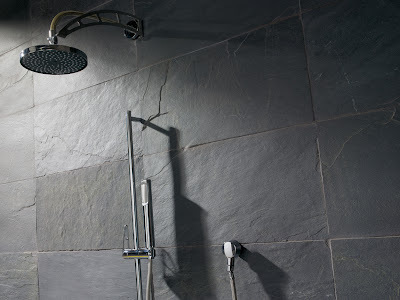 Again, imagine a slate or travertine bathroom that never needs to be sealed and can't stain. But where Cifre breaks into new ground is their development of ceramic and porcelain tile that looks like hide. Yes, hide. 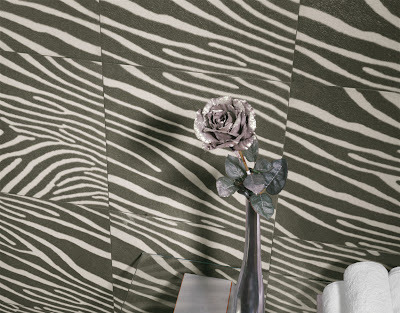 Whether it's cowskin, pony, zebra, tiger or what have you, these tiles have the grain, texture and color of real hide. Again, click on the images to see them in greater detail. Amazing stuff, all of it. Tile wants to come out of the bathroom and out of the kitchen and into the rest of your home. 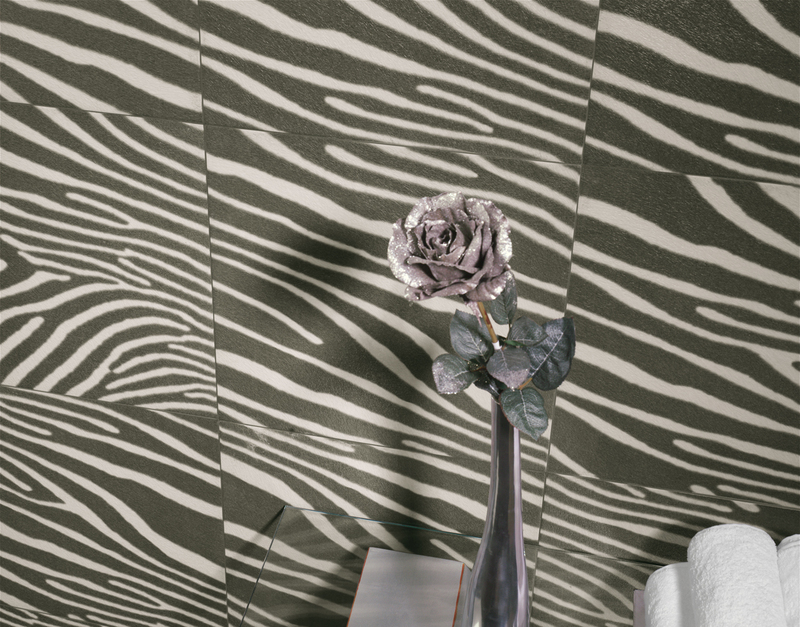 This hide series that Cifre calls Cavallino is leading the way. Some of these patterns would give a whole new meaning to the term "pony wall." Remember what I was saying about sophisticated marketing? Check out their video for their Cautive series. Cautive by Cifre ing from Cifre Group on Vimeo. Three cheers for Cifre. Look for their products anywhere Spanish Tile is sold. Beautiful tiles! Sign me up for the zebra print. So, where do you buy Spanish tiles in the US? Remember I live in Indiana Paul. Hah! Spanish tile is distributed widely all across the land. 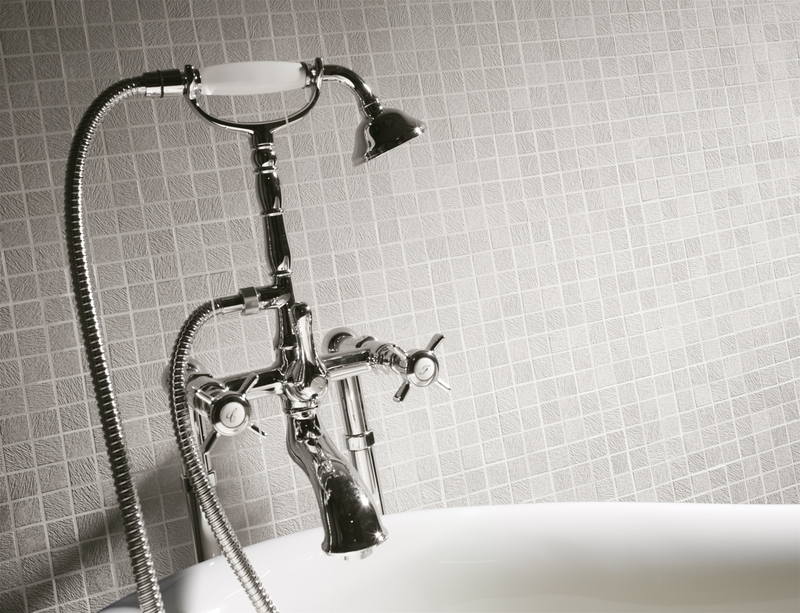 Most independent tile retailers can get their hands on it. Imagine Tile also does beautiful ceramic tiles that mimic the appearance of stone, as well as screen images on their tiles. Oh, man. The stone is incredible. This is definitely trend to watch. Thank you so much, Paul. Oh I know Kelly, an infinity pool with a view of the Mediterranean would do the trick for me too. Nancie: That stone stuff has come so far so fast it'll give you whiplash. I swear to God, that "slate" is identical to the real thing. And there's no pattern repeat. Amazing stuff. Thanks for the pointer K, I love the coffee shop in New York they did. I was always an Italian guy too, but the stuff coming out of Spain these days blows Italy out of the water.